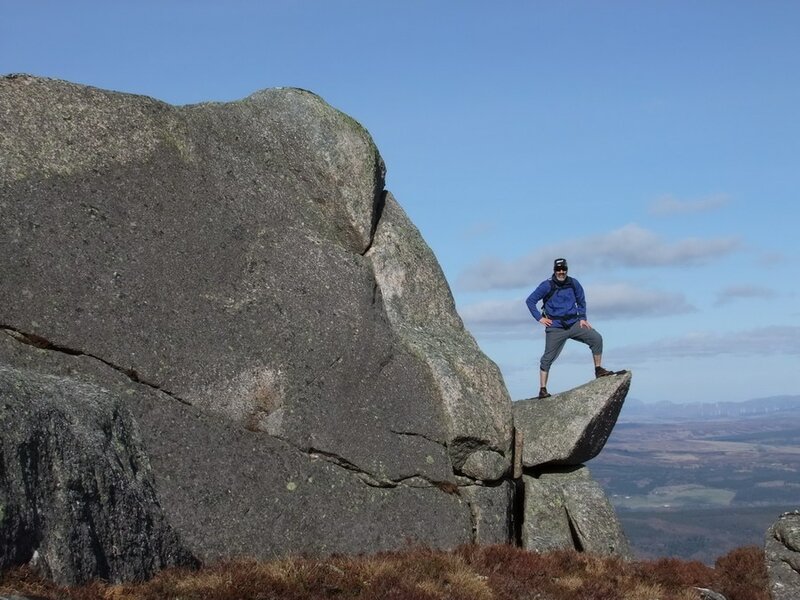 Atop the boulder that forms the true summit. 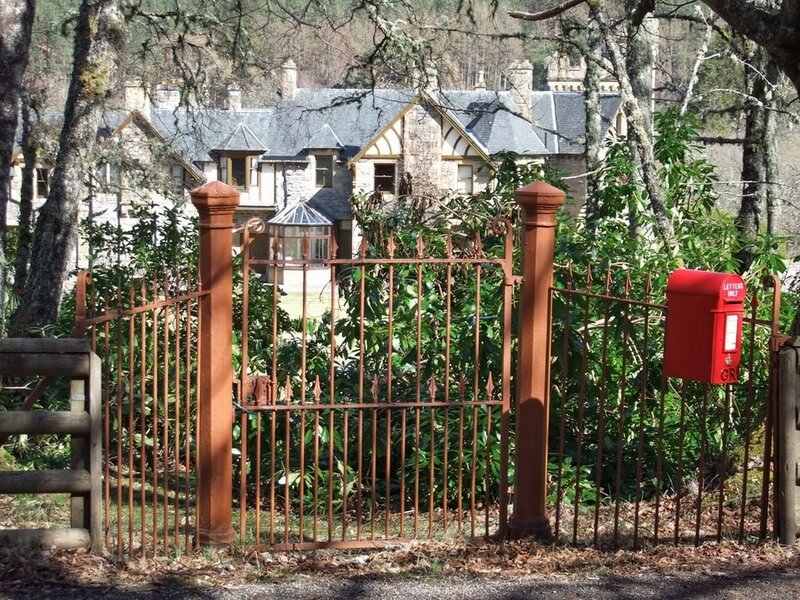 There is a passing place at the start of the track opposite the postbox. Carn Salachaidh translates to "Filthy Mountain". While, it is always peaceful to be out on the hill and there is always beauty to be seen, the slopes present the would be ascensionist with the choice between deep heather or squelchy watercourse. Faint paths, created by the repeated trampling of hooves exist, but either fade or head off in the wrong direction. However, higher up, the terrain becomes grassy with scattered boulders. 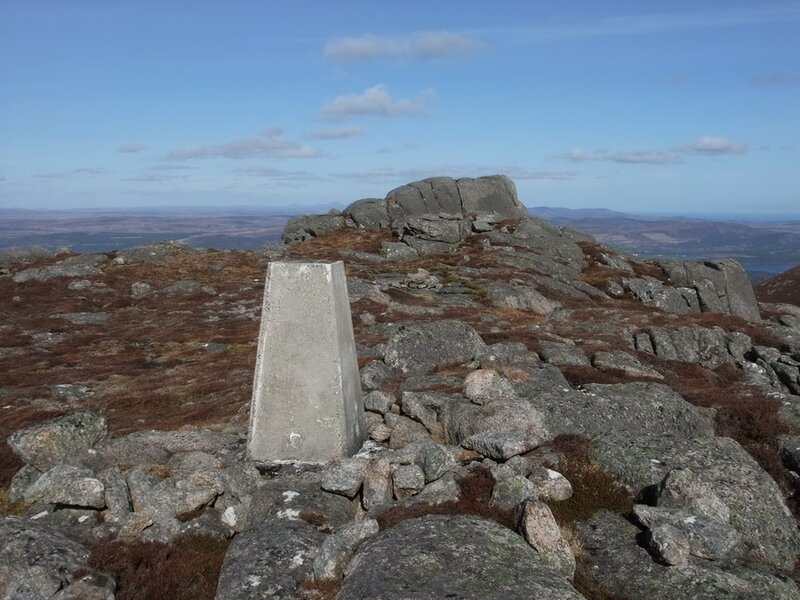 The SMC guide to "The Grahams & The Donalds" states that the OS 1:25k map indicates the 647m summit lies 45m to the north-east of the trig point. To me, in perfect conditions, it seemed clear that the highest point was the top of a the miniature "Uluru", as shown in the banner photograph. I had reservations about parking in the passing place at the start of the track, so I parked outside Ardgay train station and cycled up to Guinards Lodge, adding over 8km of biking at the start and end of the day. 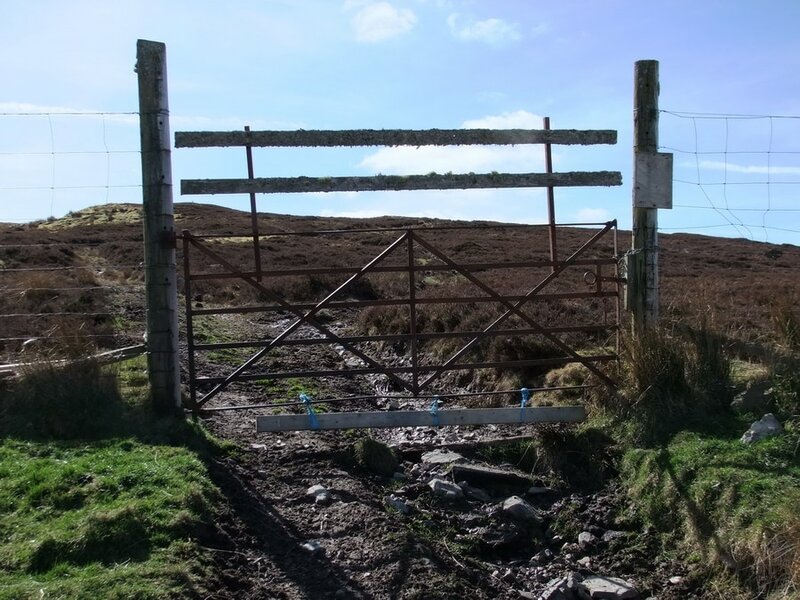 There is a gate of sort at the beginning of the track - the sort that falls over when you open it - more of a barrier than a gate. 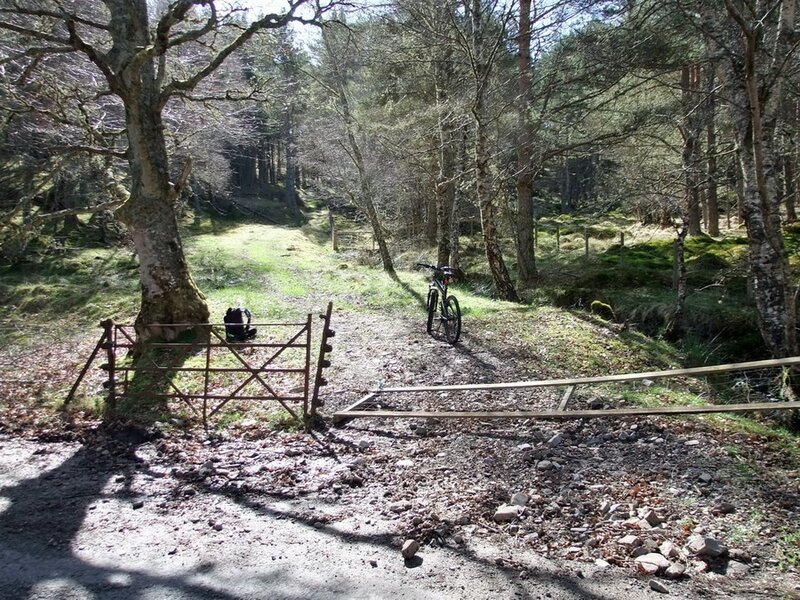 I took the bike up to the end of the trees before locking it to a tree and continuing on foot, through a deer gate and and across the moorland of Carn Mor. 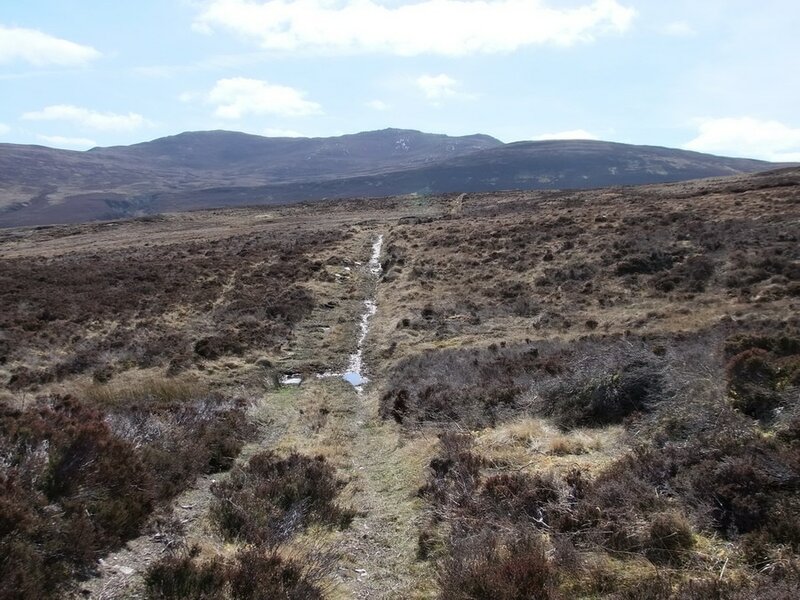 While a bit wet in places, it was pleasant and the ground was covered with ease until reaching the Allt a' Glinne, beyond which things became much tougher going. I was wearing fell shoes and breeches, converted from a frayed and torn pair of trousers. These left my shins badly scratched as I battled my way up through the stems of mature heather. 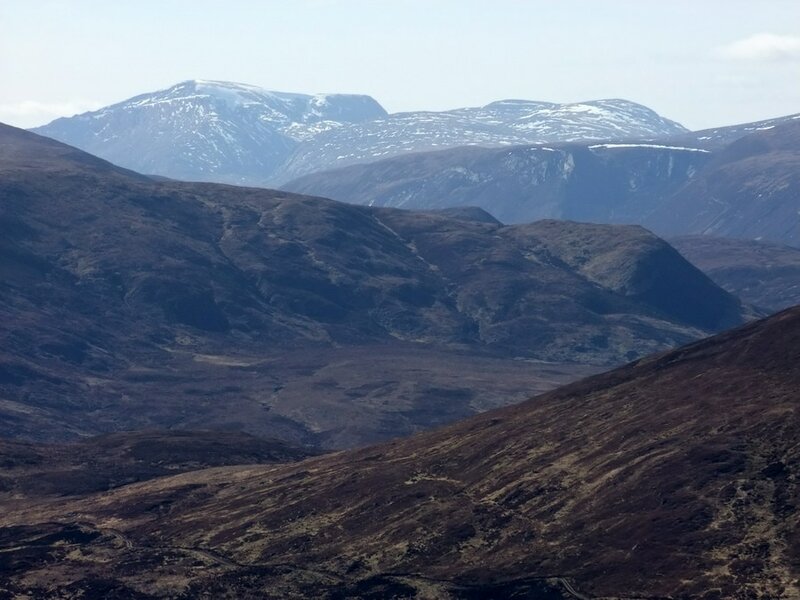 The route so far had offered very limited views but as I reached higher ground, I was awarded with views of Carn a'Choin Deirg (left), Cul Beag and Cul Mor. 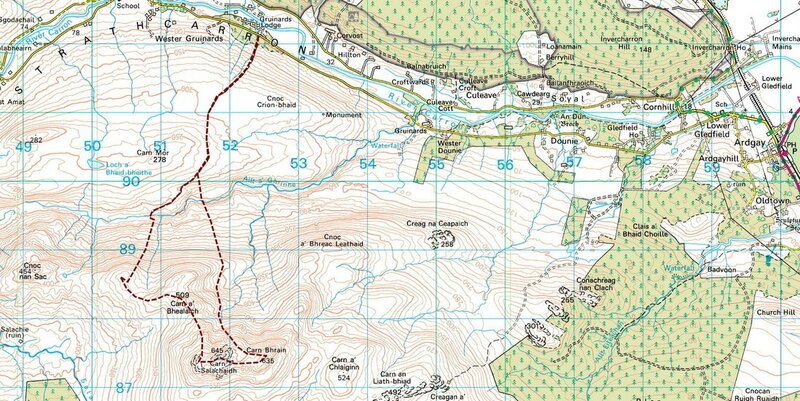 Gaining further height, I could also see Suilven, Canisp, Breabag, Conival and Ben Mor Assynt. I initially aimed for what is presumably a large glacial erratic to the west of the summit. Looking west-south-west, I could pick out Bein Dearg and Meall nan Ceapraichean with Cona Mheall just distinguishable in front of Beinn Dearg. 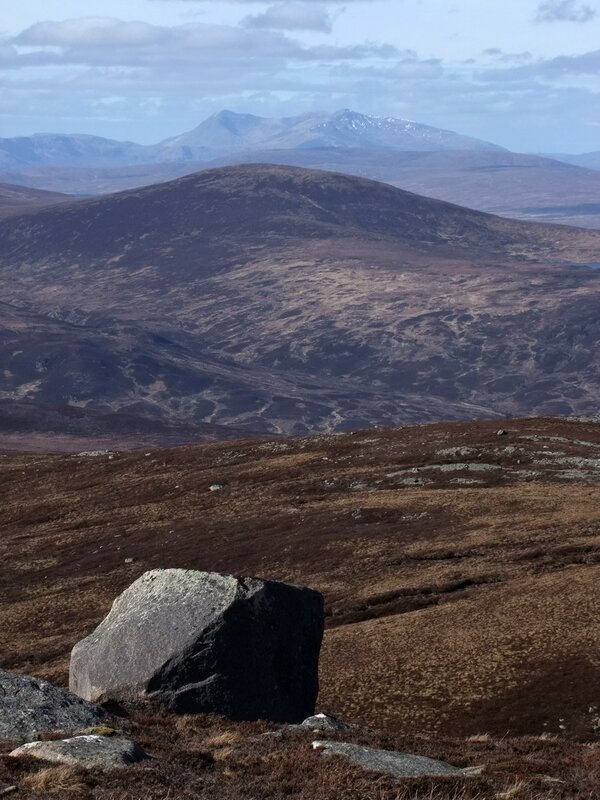 Another erratic with Conival and Ben More Assynt in the distance. Cul beg, Cul Mor, Suilven and Canisp. Having popped up and down the boulder trying to produce a decent selfie I ultimately decided that this would make the best shot. I had to run as fast as I could and scramble up the rock within the ten second countdown on the camera. I headed round to Carn Bhrain, all the time, my eye being drawn towards Suilven and Canisp. The way down involved contouring across deep heather before eventually picking up a wet, slippery route between the heather. 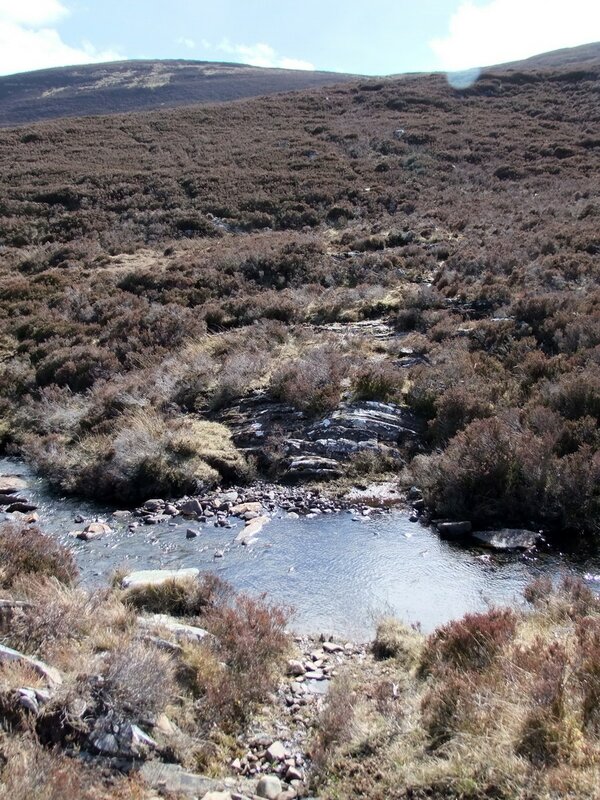 I did not head for the point at which the track reaches the burn but headed more directly as the contouring through the deep heather was becoming tiresome. The extra height loss was negligible. There are undoubtedly finer Grahams, but with limited time available (my wife was working in the morning and I did not set off from the car until around 1230) and with such fine weather, I'll settle for this as a hill worthy of being my 50th!